The two towns belong to the same County in northeastern Kenya. Coastal Lamu town with its Muslim population, and the inland Mpeketoni which is predominantly Christian. Only fifty kilometers lies between these two towns, but what really separates them is the deep chasm of misunderstanding, distrust and jealousy that tears them apart. The terror movement Al Shabaab knows how to effectively exploit these very old problems that exist between the two towns, and drive a further wedge between the Christians and the Muslims. Since a major terrorist attack in Mpeketoni, the tourist resort in Lamu is dead. “Every terrorist attack is a blow to the relationship between Christians and Muslims. 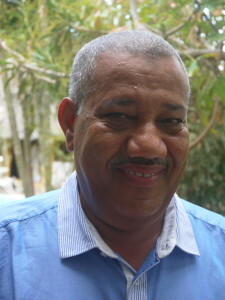 It takes a lot of effort to reduce anxiety and mistrust again”, sighs Issa Timamy governor of the region Lamu in Kenya. Seated in a big leather armchair at his residence, the political leader tries to add an optimistic smile to his words. He fails. The narrow boulevard in front of his house is deserted, the waters of the Indian Ocean lapping gently against it. Gone are the visitors who took walks through the historic town of Lamu which is a World Heritage Site and one of the oldest Islamic settlements in East Africa. Tourism was the main source of income for the region. Lamu county consists of a group of islands and a piece of the Kenyan mainland. It shares borders with Somalia the birthplace of the terrorist organization Al Shabaab, an extreme Islamic movement that has been plaguing Kenya with series of terror attacks which Kenya had to endure in recent years. “Al Shabaab is trying to drive a wedge here between Christians and Muslims who have lived together peacefully for centuries. The main target of the terrorist are Christians in the hope of provoking them to retaliate on Muslims”, concludes governor Timamy. The terrorist organization is trying to undermine Kenya in every possible way after the Kenyan troops marched into Somalia in 2011 and chased Al Shabaab from a strategic port city. That many Muslims also get killed during raids is obviously of no concern to the terrorists. The most recent attack under this scenario took place in April 2015 at a university in the town of Garissa, where 150 mostly Christian students were killed. A year ago Al Shabaab also attacked three towns in rapid succession in the In Lamu region. Sixty people, mostly Christians, were killed. The tension between Muslims and Christians escalated. One of those three places in the region is Mpeketoni. It is a twenty minutes boat ride and another fifty kilometer over a wide dusty road from Lamu town. While in Lamu town Muslims are predominant, in Mpeketoni it is Christians who are by far in the majority. It is a green oasis with food crops and fruit trees in a landscape blackened by the sun. With the rainy season approaching farmers are busy plowing and sowing. The attackers spoke both local Swahili and the Somali language. Everything seemed to suggest that Al Shabaab exploited a local conflict to once again deliver a blow to Kenya. 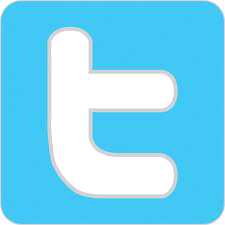 This conflict originates from the period immediately after independence in 1962. The government of President Jomo Kenyatta, father of the current head of state, helped mainly members of his – mostly Christian – Kikuyu tribe to acquire pieces of land in Lamu region. The original, mostly Muslim, settlers in the area became a minority. Many of them left. The ones who stayed feel marginalized because the newcomers were given title deeds for their land while the original local population did not receive any document. The terrorists filmed the attack which lasted the whole night without Kenyan security forces rushing to help the population. Despite the investigation that followed, the cause of the late or non response of the authorities never surfaced. A few weeks after the attack, Al Shabaab posted a slick video on the YouTube. Immediately after the Mpeketoni attack President Uhuru Kenyatta denounced Al Shabaab’s claim for responsibility. He blamed the massacre on local politicians. Mpeketoni is dear to Kenyatta because it was his father’s pet project which was criticized mainly by Muslim leaders. Governor Timamy of Lamu County was arrested without charges and released after two days. Muslims in Kenya are invariably arrested after an attack by Al Shabaab only to be released after some time. That kind of actions by the government intensifies the feeling of dissatisfaction among the Muslim population. Since the attack in Mpeketoni, coastal residents hardly succeed in getting an ID card. Most especially the young people are suffering from that. They cannot travel without an ID, and neither can they apply for further studies without the documentation. The government says that there is a backlog for issuing ID’s because the applicants must be carefully screened which takes time. But it is only the Muslims and coastal residents that must show their birth certificate, as well as that of their parents and even their grandparents before they get an identity card. The Muslim inhabitants on the coast feel discriminated against and never really felt part of Kenya. Their eyes were always focused beyond the ocean, where their ancestors came from. They are mostly descendants of Arab merchants and local coastal peoples. It did not help that successive governments had little interest in them. Also in Mpeketoni the effects of the attack are still felt a year later. “In the past the attacks by Al Shabaab were usually targeted at areas where ethnic Somalis live. The terror seemed so far away. 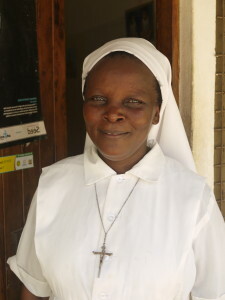 We did not think that we could ever become targets in Mpeketoni”, says priest James. 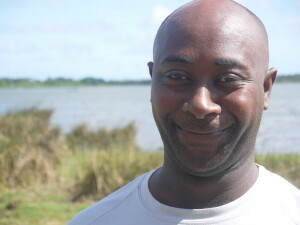 He likes to drive to the Kenyatta Lake on the outskirts of Mpeketoni where cows graze on the banks, hippo’s splash in the water, and fishermen throw out fishing rods. At first glance it seems life is back to normal. But at the police station many police and army vehicles are parked and the military and police personnel are part of the town scenery. In a pastry shop at the bus station two saleswomen, leaning on the glass showcase, watch who is alighting. “Since June, we keep an eye on who gets on the bus and who gets off. I feel a lot safer since so many people in uniform are present,” says one of them. In the near future there would be a mega port near Lamu town, and a new city would arise on the mainland with an airport and train links to other countries in East Africa. A million people will live and work in the new city. The present population of 400,000 in the County will likely be quadrupled. 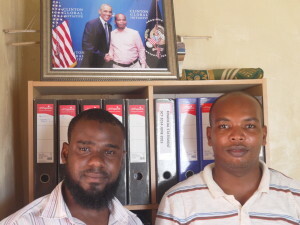 The Lamu Youth Council is counting on increased employment for locals. “We urgently need teachers for the technical school here. We have the machines but not the manpower,” says Shee. But the terrorist attacks do not make life any easier. Teaching and medical staff have gone away with the increase of the Al Shabaab attacks, and prefer to work elsewhere. The Youth Council hope that the historic inequity to the predominantly Muslim coastal residents will soon come to an end. Residents of Lamu often express their fear that lack of employment, development opportunities and education could lead to frustration among young people. This could in turn make them become an easy prey for Al Shabaab recruitment. The last census in 2009 puts the population of Lamu County at 100,000. The local government however estimates that there are now dwelling 400,000 people of which approximately 50,000 are in the Christian Mpeketoni, and more than 15,000 in the predominantly Muslim town of Lamu. 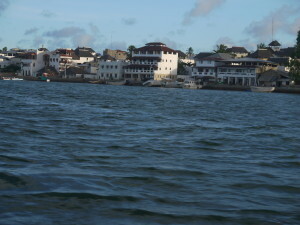 Lamu town is inhabited since the past 700 years. The town, with its typical architecture, has no less than 23 mosques. Mpeketoni began as a settlement in the sixties but became in the seventies a place of stature. Kenya has since 2011 been regularly targeted by Al Shabaab. In that year units of the Kenyan army went into Somalia to help the Somali government in its fight against the terror movement. The Kenyan government had enough of the violence in the neighboring country because it regularly spilled over the border. After the death of a British tourist, and the kidnapping of one British and another French woman in the Lamu archipelago Kenya had reached the tipping point. It is not known whether the kidnappings were the work of Al Shabaab or ordinary criminals. What is known is that Kenyan soldiers in retaliation expelled Al Shabaab out of a port in Somalia, and this caused the loss of a major source of income for the terror organization.